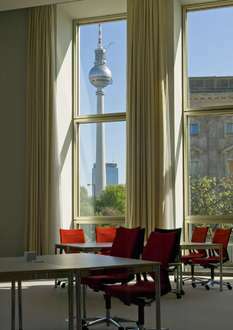 ESMT Berlin: The business school founded by business. ESMT Berlin is an international business school based in Berlin, Germany. ESMT’s areas of expertise are Leadership, Innovation and Analytics. The state-accredited private business school offers a Master's in Management degree, a full-time MBA and a part-time Executive MBA program and executive education. 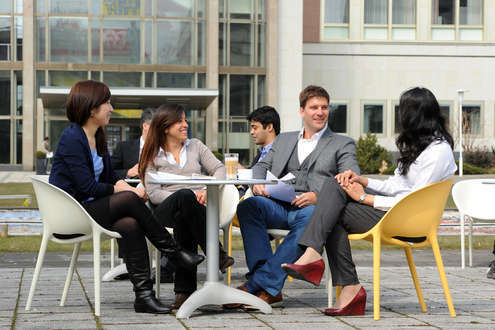 ESMT and its programs are accredited by AACSB, AMBA, EQUIS and FIBAA. More information on this institution? Visit the website! ESMT brings Berlin, Europe’s most pulsating capital, to your fingertips. The campus is in the center of the city, with direct access to every neighborhood. Europe’s most vibrant capital is a center for entrepreneurship, design, cutting-edge architecture, famous nightlife, and unparalleled opportunities for both high-brow and alternative culture. From currywurst street vendors to Michelin star restaurants, your appetite will be satiated in Berlin. After living in Berlin, students repeatedly say that the city was a highlight of their experience. Its internatonal culture welcomes all nationalities. Mulitple festivals and celebrations of world culture pop up throughout the year. 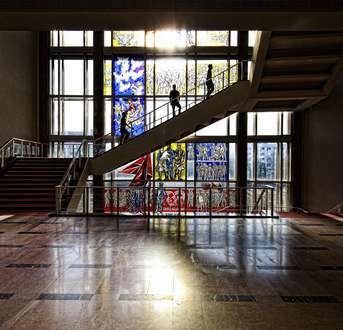 Apartments and expenses are low – it is one of the cheapest European capital cities. It is 30% cheaper to live in Berlin than in Paris. How much does it cost to live in Berlin? This is a personal question, and it depends on your expectations for accomodation and food needs. On average, we find that students need €1,000 to €1,500 per month to live in Berlin. Students opting for a room in a shared flat may have expenses below this estimate. On campus, students can participate in clubs and activities to grow their network and business interests. The small, intimate atmosphere allows networking opportunities with the full-time MBA and Executive MBA students. Current clubs are the Entrepreneurship Club, Social Impact Club, Investment Club and Start-up Consulting Club. Facilities exist for football, ping pong, and volleyball in ESMT's private garden. A public swimming pool is 300 meters away from the campus's main building. Applications are reviewed on a rolling basis. For more information, please visit our website. Leadership. Innovation. Analytics. ESMT links them all into intensive, high-impact, and personalized degree programs that build global leaders. Our programs combine theory, practice, and the case method so that graduates can approach managing data and organizations at all levels. 1. Excellence. Founded in 2002, ESMT has united the most international, most prestigiously trained faculty in Germany. Our programs foster an intense learning environment that is constantly perfecting its program delivery. 2. Innovative technology management. Germany's industries are known as one of the world's best. In all our programs, we accept a large number of students with engineering and scientific backgrounds who want the business acumen to lead global industrial organizations in designing, creating, and innovating new products. 3. Responsible leadership. We take a global approach to business, but we emphasize that organizations are really groups of people - and each individual is important. We train leaders to remember the individual impact their decisions will have. 4. Personal learning curve. ESMT knows that each student is different, and we have small, personal class sizes to ensure the students make the most of their education. We offer one-on-one counseling, 360-degree feedback sessions, and personal growth workshops throughout the program. 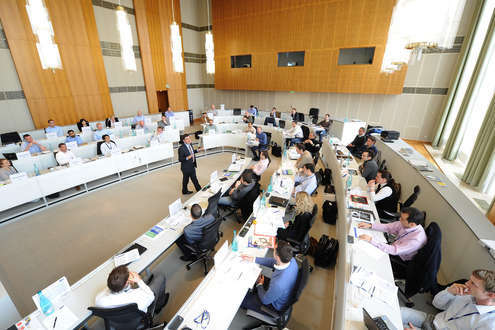 Graduates from ESMT are not just better managers, they are better team players and more insightful leaders.